TIP: Request a photocopy of the complete original record, otherwise they might send you a simple extract that doesn’t contain all the available information. 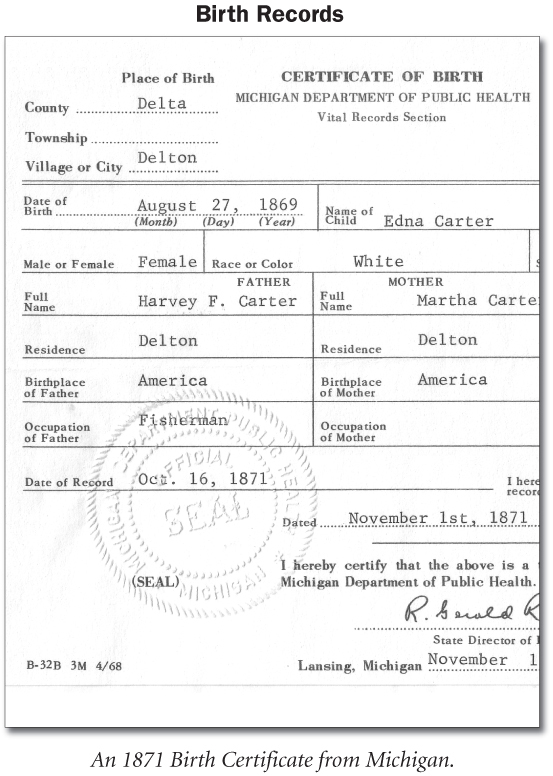 1) Family History Library — has copies of many birth records (primarily those before 1920) and many statewide indexes. Check the FHL Catalog for the State, County or Town where the birth took place. Also, see pages 9.10-11 for info on how to find county records. • If you don’t find a birth record from any of the above, check FamilySearch for a Resource Guide for the locality you’re interested in for other possibilities.